EVERYTHING is our problem – Write it down. “EVERYTHING is our problem.” Say it out loud. When businesses take the “it’s not our fault approach” there is only one solution: threaten and punish the customer, which means you won the argument but lost the customer. Not our fault – John Robert’s Spa demonstrates the perfect example. Guests would sometimes leave their valuables (jewelry or cell phone) in the pockets of the robes. This meant the guests’ possessions could get washed and/or lost when we did our laundry. It’s not the spa’s fault that the guests leave their stuff in the robe pockets. Threaten & Punish – The first remedy was to leave a sign inside the lockers and changing room stating, “We are not responsible for any valuables left behind.” A huge negative cue! It is our Problem – So we changed that to “Please remember to check your robe and locker for all your valuables.” Better, butit didn’t eliminate the problem. Now what? Can we train our Spa Attendants to check every robe, every time before washing? Only in a perfect world. So we found a supplier who provides pocket-less robes. Problem solved. Not the hospital’s fault – One of the hospitals I work with has always had an issue with patients being late for their appointments. Big problem! More than half their patients were late. It wasn’t a result of patients not respecting the hospital’s time, or poor planning. It was because the hospital is so large (literally stretches for several blocks). Once patients found the correct building and parking garage, then the real challenge began — walking and finding the office in a maze of buildings and hallways. Solution #1 (Threaten & Punish) – The hospital could warn the patients that they will forfeit their appointment if they are late but still be charged for the visit. Obviously this is not exactly the approach a business wants to take with its customers. Solution #2 (Allow for this in hospital’s scheduling) – Allow for more time with each patient to build in for the fact that they will be late. This results in fewer appointments and patients seen per day. Not good financially for the hospital, and not good for the patients who need to get in quickly. 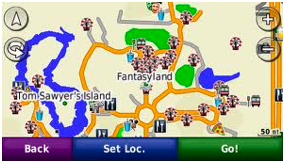 Staffed more recognizable volunteers all over the hospital to help direct patients to their destination, and 2) borrowing from Disney, they created a GPS APP for smart phones that directs patient to the proper place on their property (i.e. Building P, office 515). “Pay what you think is fair” exercise – The best way I have found to truly embrace the EVERYTHING is our problem mindset it to do the “Pay what you think is fair” exercise When you think about how your customers can “short-pay” you for any reason, you will not believe how creative and solution-orientated you become with everything. Find your pocket-less robes? If you really train everyone in your company to have the mindset that EVERYTHING is your problem and responsibility, and you remove the victim mentality of “it is our customer’s fault,” your company’s customer experience will elevate to new heights. You’ll find solutions that eliminate the problems and make your company more efficient, and your customers happier. If you have found ways to own a problem, please email me a short example how: john@thedijuliusgroup.com, best answers make a future eService. Need your help and suggestions – The DiJulius Group is creating our lineup for the 2013 Secret Service Summit for November 4 & 5, 2013, and we want to know whom you would like to hear speak? We want to hear all your suggestions on speakers, topic, format, and anything you want to see at next year’s Secret Service Summit. Email me at john@thedijuliusgroup.com . Thanks! Customer complaints are the schoolbooks from which the best learn.